** assisted preston douglas’ collection “saint johns” though designing, production, styling, as well as other other tasks like event pr & graphic design work and the runway show itself. 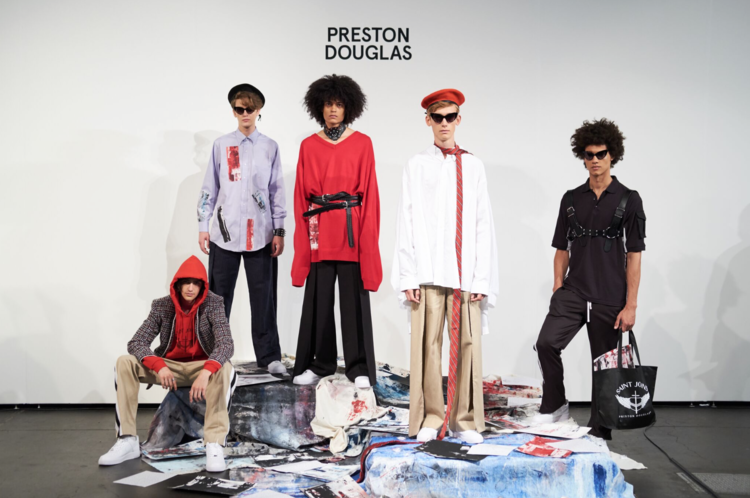 I accompanied preston to new york fashion week: mens at capsule + liberty through the highsnobiety curated section in september 2017. the team presented a 28 look fashion show later on in houston, texas. four pieces from a mini collection i did prior were featured in the runway show. To see the SAINT JOHNS Runway photos, look book, and shop visit the website: http://www.prestondouglas.us/ Special thanks to St. John's School, William Harry Patterson, Peyton Inoff, Dan Havel, Chuy Benitez, Bill McDonald, Dani Yan, all of the St. John's volunteers, and all of the models.